Welcome to our in-season coverage of waiver wire considerations for this week. We won’t be forcing waiver wire advice or suggestions. Instead, expect to see a wide-ranging number of players each week, based solely on increasing snaps, injury or any combination of events that suggest a player’s status could change in the future. You can expect we will be providing a bit of justification for the addition as well as just how deep the particular player is. We are only highlighting those players that we believe deserve some level of attention, not merely players who happen to see targets or log a carry. As is always the case in fantasy, beauty is in the eye of the beholder. 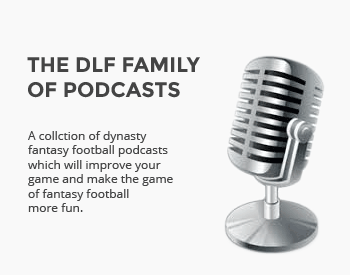 Whether you are a multiple-year winner or in a constant state of rebuilding, the waiver wire is, arguably, your largest source of talent from which you will build your future dynasty. Being first to act and last to react, year over year, will play a huge role in the building and shaping of your team(s). It takes a lot of commitment to stay that engaged, but it’s an activity that will pay dividends every year. Don’t forget to check Ken Kelly’s “Dynasty Aftermath” weekly for more notes on players who should be on your radar.